Chive and Parsley Pesto ~ Don't save it just for pasta, use it on fish, chicken, sandwiches, burgers, or slather it on fresh baked bread. Put the pesto ingredients in a food processor and pulse until broken down. Scrape down the sides of the container, then process until smooth. Scrape down the sides of the container again as necessary. Taste and adjust any of the ingredients to your liking. Meanwhile cook the pasta in plenty of salted water just until al dente. 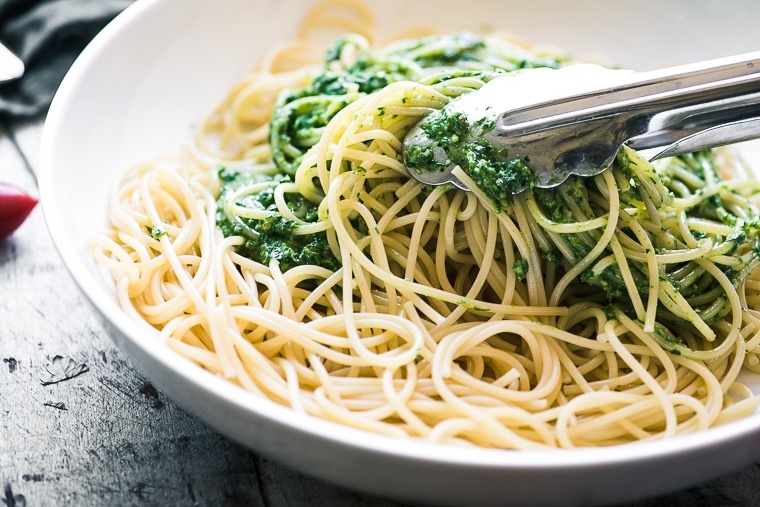 Toss with a generous amount of pesto, and serve immediately.